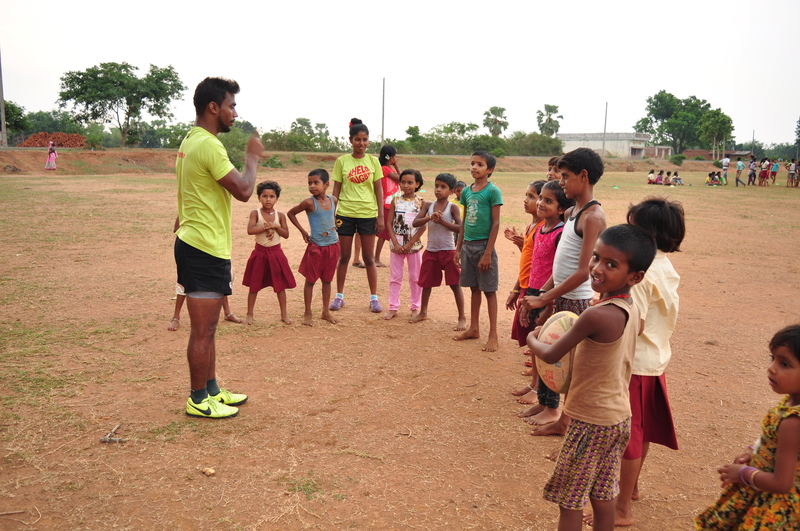 Rugby is a sport not associated with India and less so with the villages of interior Jharkhand. This makes the achievement of 60 children from 5 villages of Dumka District, who participated in a Tag Rugby tournament, all the more admirable. Even more creditable is that girls and boys played together in mix-gender teams, overcoming multiple obstacles to do so. 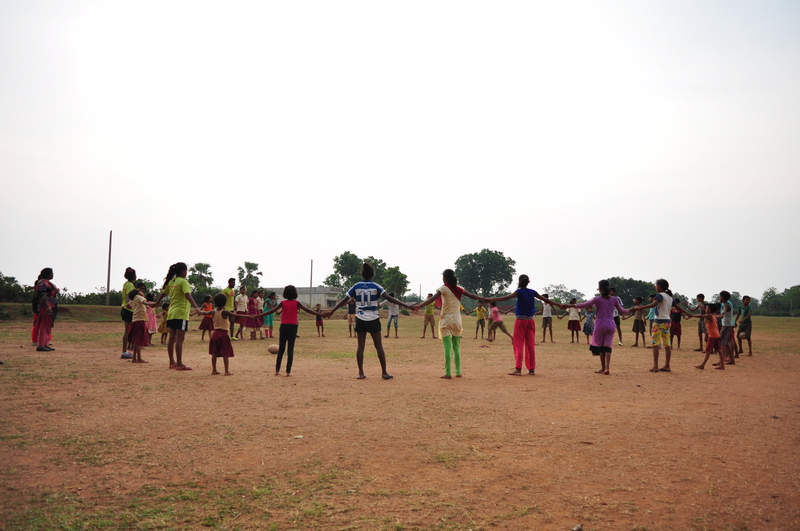 Children groups are formed in a number of villages by tdh partner SARITA and Jungle Crows Foundation, who brought rugby coaching to the practice sessions. The enthusiastic youngsters of Daldali Village had to deal with many challenges, chief among which was that parents forbade their children from taking part in any kind of mix-gender group activities. The conservative elders of Uppar Biyari village imposed equally strong restrictions against teenage girls playing with boys. Defying the restrictions, the children first trained in secret and, when discovered, convinced their parents to allow them to continue playing, a rare feat in a region where children never raise their voices against adult diktats and blind submission is the accepted norm. 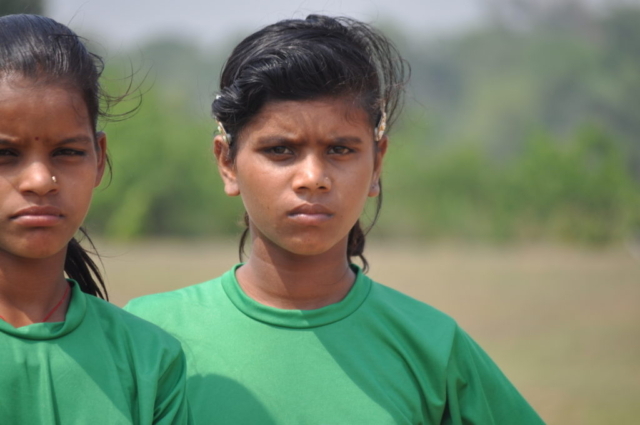 Their cause was helped by parents from other villages who seeing the 3 women coaches from Jungle Crows Foundation in action – all girls in their late teens, with confidence and expertise in guiding the youngsters – felt inspired and agreed to their girls taking part in the 14 days of practice. Guided by the young coaches from Jungle Crows Foundation, Kolkata, more than 100 children participated in the practice sessions. 60 were chosen to compete in a tournament on World Play Day 2018 on 28th May. Each team consisted of 5 girls and 5 boys. On match day, the trials of the past weeks were forgotten and the players only concern was their team, their only focus a win for their village. 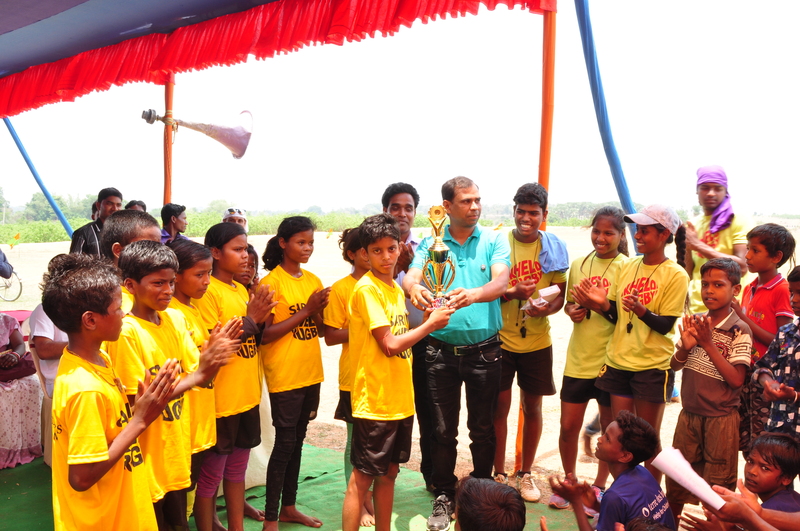 When the whistle blew to end a nail biting final, Daldali Village proudly held up the winners’ trophy, but everyone present knew that all the participating children were winners that day. 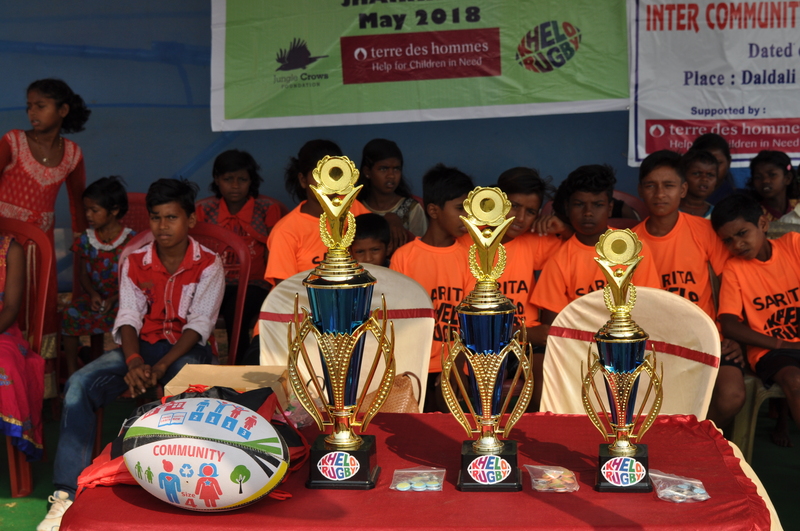 tdh Germany jointly supports an initiative with the organizations SARITA, Lake Gardens Women & Children Development Centre, Path Welfare Society and Jungle Crows, through which Jungle Crows trains young girls and boys from the slums of Kolkata and the villages of Jharkhand to play Rugby. 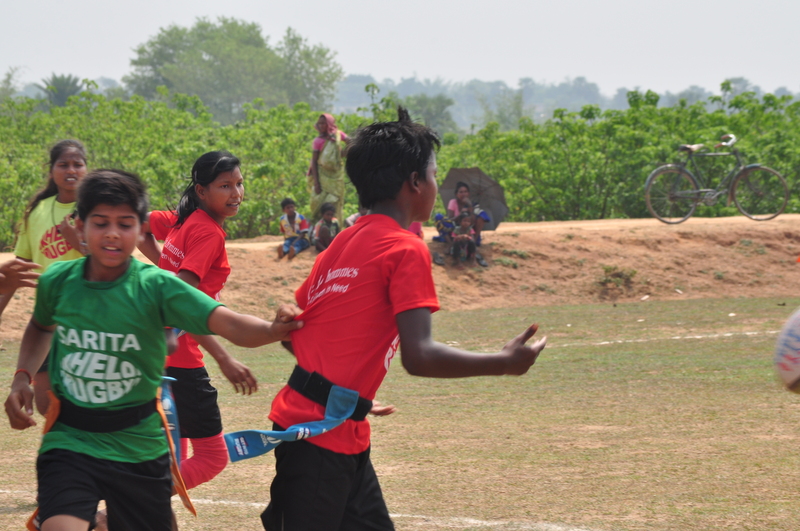 Buoyed by the example set by the children of Dumka, more children from the project areas plan to play rugby in the future.